There are some cracking pubs in Leeds. Some old, some new, some borrowed and even some blue, but it’s the oldest of the old that we’re concerned with here. 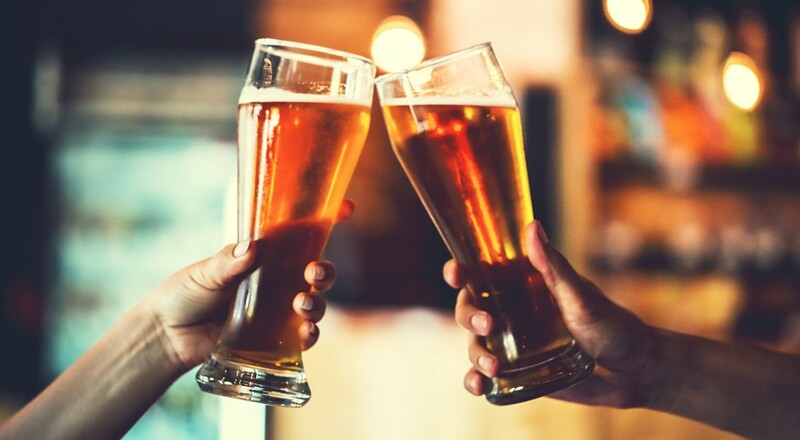 They offer some of the finest ales, tastiest pub grub and funniest local banter in the city, so let’s get down to it and give you a pub crawl you won’t forget in a hurry. The building of The Palace was actually completed in 1741, a century before it became a pub. Now, it occupies a special place in the heart of many a local around the Kirkgate area. It’s believed by many of those locals and, indeed, the bar staff that the ghost of the late Leeds actor and poet, Michael Hill still pops in for a pint now and again. He died in the pub in 1948 and staff have reported apparitions throughout the decades since. It might be part of the North Bar group that’s responsible for some of the city’s hippest bars like Further North and North Bar, but the Cross Keys without doubt retains its historic character. It was the boozer of choice for many engineers and local workers for about 180 years until it was closed and abandoned in the 1980s. North Bar came to rescue, completely refitted the place and brought it back into the fray for the crown of Leeds’ best pub. Estimated to date back to the late Georgian period, The Old Red Lion is one of the few remaining old watering holes outside of Briggate and the city centre. It’s not just the history of the ale house that cements this place into the lives of the locals, but it’s also a Sam Smith’s pub, so it’s one of the few places left in Leeds in which you can still get a pint for about the price of a bag o’ chips. Whitelock’s is a true Leeds institution. Located right in the heart of the city centre, the ale house has a history that runs all the way back to the beginning of the 18th century. It started life as The Turk’s Head, but was acquired by the Whitelock family in the 1880s and was subsequently turned into the baroque boozer it remains today. It’s been through a fair few names, but more than a fair few locals see this place as the most historic pub in Leeds. Situated on Briggate in a stretch of pubs that were built into old yards, the Packhorse is believed to date back to the early 17th century. A marker of its rich history is the iron Templar Cross that’s still nailed to the gable end of the pub. According to its website, it’s one of only two left in the whole of England. If you know about an older pub in Leeds, please let us know by getting in touch on Facebook or Twitter!